We installed this automated gate this week, it is fitted to an above ground automation system with articulated arms. The gate has been infilled with redwood and the redwood has been stained to a natural oak colour. 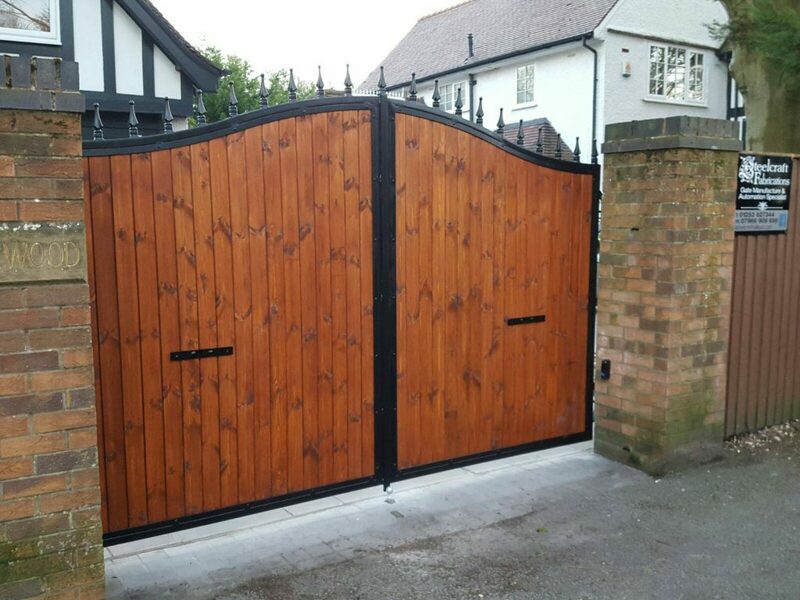 All our gates are made with a steel frame for added strength and then infilled with a choice of different woods, steel or composite.